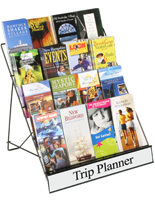 This literature wire rack promote and organize your brochures and magazines. 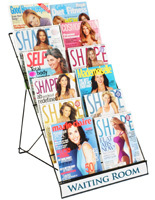 Tall at 24", these counter top stands increase product visibility to customers. 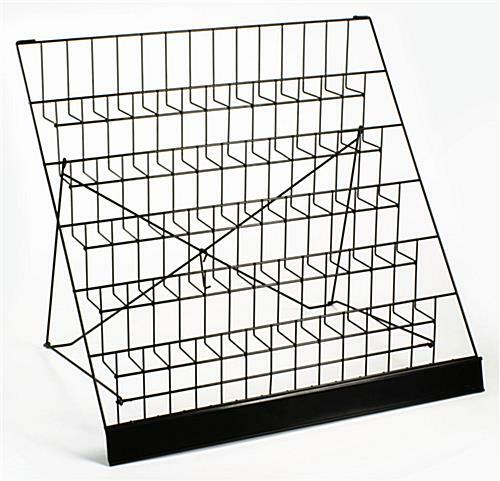 The countertop display has 6 tiers of open shelves with 1-1/2" deep pockets. 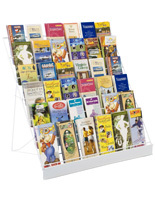 The literature holder is constructed of strong and durable wire. 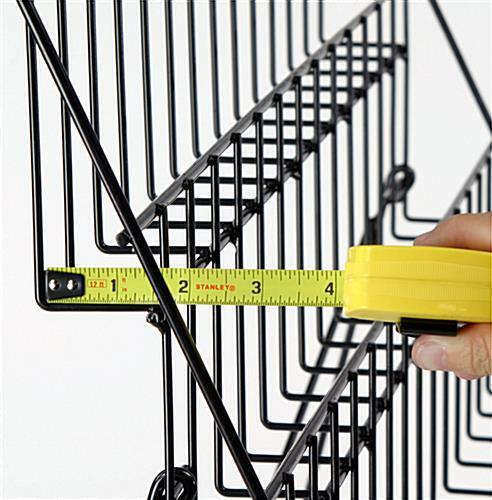 Each of these counter top rack products are portable for easy storage. 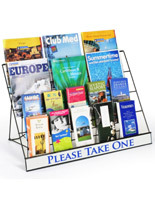 These literature display racks feature a built-in sign holder. The sign holder increases product and advertising visibility. 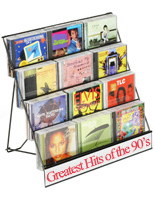 The sign holder slot fits any messages size 29"w x 2-1/2"h. These counter top racks are ideal for gift shops, convenient stores, trades shows and college book stores. Please Note: We do not provide the printed sign for the channel, the sign "Travel Information" is pictured as an example of what your printed insert message might read. 29.0" x 24.0" x 16.5"
25.0" x 5.0" x 1.5"
I purchased 4 of these displays and I've been impressed with how light and sturdy they are. I will definitely purchase more of this style. We're here when you need us again, M! Thank you so much for shopping with us and for leaving such nice feedback. We truly appreciate it. 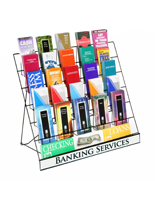 This display rack is a great way to show off my custom greeting cards in my store. Very easy to set up. Posted one year ago by Meghan T.
Posted one year ago by Rebecca M.
Easy to set up and take down, perfect for prints and books - definitely a good display stand for any artist alley table that needs both space and height for Many Things! Also packs down very nicely, which is a huge headache saver on load out. Thanks so much for the rave review -- we're glad we could help lessen the headaches! We hope you shop with us again soon. 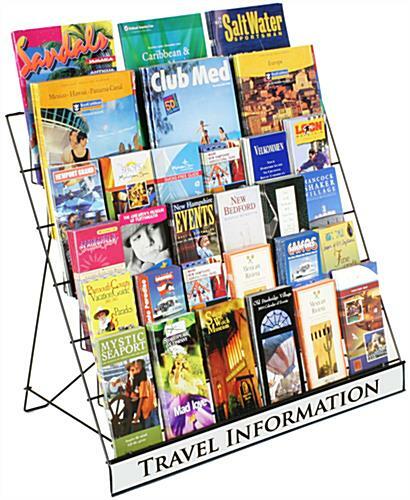 This rack was purchased to display free literature to our congregation in our church. It is well made and it holds quite a bit of material. 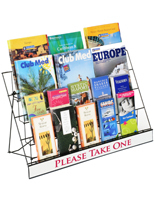 We use this rack to display different sized material, such as small tracts up to full sized magazines. It was a great purchase with a great price. Thank you. 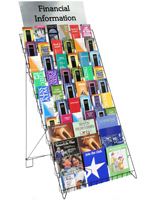 We're so glad the literature wire rack works well for your church! Thank you for taking the time to review and we hope you shop with us again soon. What a great photo, David! Thanks for sharing. We hope to hear from you again soon.